The first congress in this series was held in 1990 within a European collaborative research framework that focused on wheeled mobility. The later editions (1998, 2004, 2009) changed slightly in content, initially with stronger attention for wheeled mobility and spinal cord injury, but later on addressing broader topics in human movement and rehabilitation sciences. 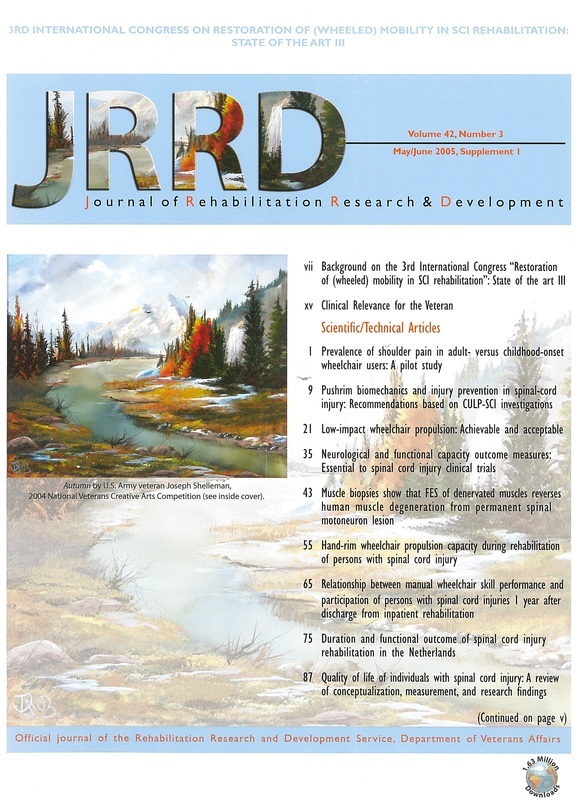 While the focus in terms of topics was expanded over time, the approach and objective remained the same: a congress on the cut-of-the-edge research developments with focus on mobility restoration and functional recovery in disability and handicap, understanding and development of theory as well as the practical connotation in the rehabilitation practice and adapted sports. 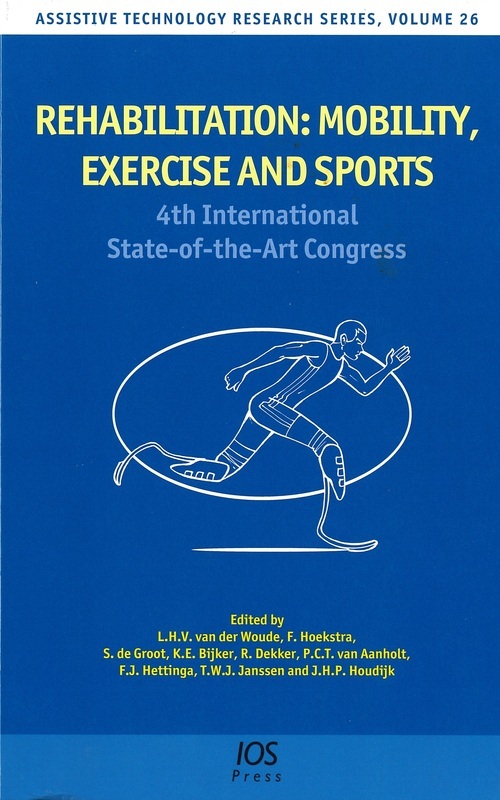 Each of these four congress editions were productive in their own right: publications in books and in special issues as well as a growing collaboration between human movement and rehabilitation sciences, personal mobility between different disciplines and research groups, both national and international. Beyond that, there has been an important exchange with industry of measurement and research as well as clinical technologies. With the 5th edition the location of the congress moves from Amsterdam to Groningen, some 200 km to the North-East of the Netherlands. As often is the case, a personal change of the initiator of this congress series is fundamental to this move. This time the Center for Human Movement Sciences Groningen will host the congress, while the organizing committee is composed of three participating institutes: the Faculty of Human Movement Sciences of the Free University in Amsterdam and both the Center for Rehabilitation of the University Medical Center Groningen (UMCG) and the Center for Human Movement Sciences of the University of Groningen and the UMCG. The Center for Human Movement Sciences Groningen was established over 25 years ago. Nowadays it has a 5-year bachelor-master program in Human Movement Sciences and a master program in Sports Sciences for an odd 600 students including over 30 PhD students. In September 2013 also a Master-PhD program was initiated. Concerning research the Center for Human Movement Sciences has three specializations; healthy aging, sport sciences and rehabilitation, each having a strong position in a multidisciplinary area in terms of expertise, multidisciplinary collaboration and knowledge dissemination. As a lively university city with 195.000 inhabitants Groningen has the youngest population in the Netherlands. Currently, over 50.000 students are registered at the University of Groningen and the Hanze University of Applied Sciences. The University of Groningen is the third largest university in the Netherlands after Amsterdam and Utrecht and has nine faculties, divided over 150 buildings in the entire city and surroundings. The UMCG is situated within walking distance of the city center of Groningen. The more than 10000 employees and 1300 beds make the UMCG one of the largest hospitals in the Netherlands. Patients go to the hospital for basic care as well as highly specialist top clinical and top reference care. All medical specialties are represented, as well as education programs for all medical disciplines. The UMCG focuses on healthy ageing in all priority areas: research, clinical care and education. The center is demonstrably among the best scientific educational institutes in the Netherlands in the area of medicine, dentistry and human movement sciences. Rehabilitation: Mobility, Exercise & Sports (2014) will seek for the evidence-base of mobility, exercise and sports in the context of rehabilitation, treatment and strategy, in the context of long-term functioning, participation, health and quality of life. The importance of the congress lies in the exchange of the state-of-the-art knowledge, lively debates and the exchange of experiences among a diversity of clinical professionals and researchers from different disciplines, backgrounds and countries. The congress will offer a social and scientific climate; a one-track comprehensive program of keynotes, free communications, posters and exhibition in the lively environment of the main building of the University Medical Center Groningen (UMCG). During the congress staff and (PhD) students will be your hosts at an inspiring meeting with great pleasure and commitment. We welcome you to Groningen, the City of Talent, and will take every opportunity to make your stay at our University and City an unforgettable one. Give us the pleasure of being there in April 2014!